Read Mind on Movies review of THE FOREIGNER, in theaters October 13th. This is the action you want to see from Jackie Chan. 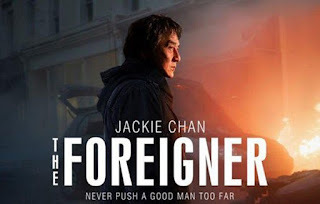 Taken meets Jackie Chan in the latest action thriller, The Foreigner. Fighting its way through the box office, will The Foreigner have the moves to top the charts this weekend? 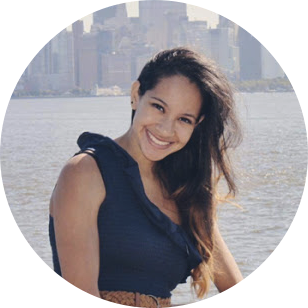 When a terrorist attack kills his daughter, a father is left with nothing. In the pursuit of finding those responsible for her death, he latches onto a prominent Irish political figure as he tries to infiltrate the IRA’s terrorist cell. But when he continues to get stonewalled, he decides to take more creative measures in order to pressure the political group into revealing the whereabouts of his daughter’s murderers. 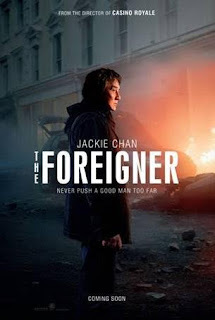 For a movie featuring Jackie Chan, The Foreigner relegates his character into a supporting role. The movie feels more like a political thriller than it does a Jackie Chan action movie, with a majority of the film focusing on the political career of a North Ireland politician wrapped up in the middle of an IRA plot to revive the Troubles. Although the politics are interesting enough, they are also based on a rather far- fetched plot that doesn’t really explain a coherent motive behind restarting the violence after thirty years of peace. Suspension of belief aside, the movie would have benefited with more of a focus on Jackie Chan. His plotline leaves a lot to be desired – nothing he does really seems to make much impact on the overall plot. In fact, it almost felt like two different movies. One where Jackie Chan is up to some violent hijinks as he seeks his revenge on the perpetrators, and another where we follow the conspiracy and the investigation surrounding the attacks. The two have very little to do with one another as neither really has too much of an impact on the other. Jackie Chan was also heavily underutilized. 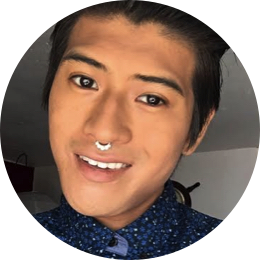 In many of his scenes, he proved that he had dramatic acting abilities and that his age has had little impact on his ability to perform. But we rarely see him and his stunt skills receive very little screentime whatsoever. The foreigner delivers a grizzled, older Jackie Chan that still delivers a good time even without the presence he deserved. Despite its convoluted plot and alarming absence of Jackie Chan, it was still a refreshing watch. Many of the confrontations felt like Home Alone with an adult twist. The action was creative and interesting and was different enough from many of the major Hollywood action films we’ve gotten recently. It was also great seeing Chan portraying a completely different character than we have come to expect from him. Despite a lack of opportunity, Chan still proved that he has more to offer. The Foreigner struggles to wrangle two different plotlines and ends up severely suffering for it. With a convoluted and lackluster plot and a stark lack of Jackie Chan, it just ends up coming short. It is by no means a bad movie, but it also isn’t necessarily a good one either. Instead, it just floats somewhere in the middle and is probably something best watched when it comes out on Netflix. The Foreigner is filled with political intrigue, tragic loss, and a quest for justice that centers on Quan Ngoc Minh (Jackie Chan), a quiet, dignified man whose life is shattered by the reverberations of a senseless terrorist act. Following this tragedy, he embarks on a quest for retribution, seeking assistance from Irish Deputy Minister Liam Hennessy (Pierce Brosnan), a politician whom Quan believes has information about the persons responsible. Hennessy is a former IRA member now working within the British government to uphold the tenuous peace accord in Northern Ireland. When I first saw the trailer for this film, it had a similar vibe to Taken, one of my favorite action films. However, after seeing this movie, I realized quickly it’s not like Taken at all. Based out of the United Kingdom (At least it had the same European setting), the movie begins with a horrific slow-motion bombing that takes the life of Quan's daughter, the last living family member he had. With nothing else to live for, Quan goes on a mission to find the killers of his daughter, and get his revenge. The only clue he has is that Deputy Hennessy knows their identities. Which it turns out, he really doesn’t. So basically an hour of the movie was spent annoying and distracting Hennessy from figuring out the identities of the bombers. All because for some reason, rather than doing the detective work himself, Quan has convinced himself that Hennessy is lying and spends all his energy threatening and stalking Hennessy. This annoyed me in so many ways. Liam Neeson did not have to rely on anyone to find the men that threatened his daughter. Jackie Chan knew how to make a bomb out of cigarettes and lemonade. He knew how to find Hennessy’s secret safe farm. However, apparently hacking into the British traffic cameras never crossed his mind. Therefore, we spent a majority of the movie with Chan’s character being a pest to Hennessy and Hennessy wasting all his time and men trying to shoo Chan away. Meanwhile, the actual bad guys were plotting their next bombing with no one to stop them. The action sequences in this film for me had its ups and down. While I did enjoy the many explosions, the fighting just didn’t seem that realistic for me. There were many moments where Jackie Chan’s character seemed to show his age and took a lot of punches for an older guy. However, he somehow always managed to thrive and walk away like he didn’t just get jumped by multiple guys at a time. I found that very unbelievable. I understand most action movies in general are unbelievable, but this movie just felt like Chan’s character was always losing the fight, and then suddenly he doesn’t. I would assume that if you have the Special Ops training to fight whoever came your way, they at least would teach you a little defense as well. Overall, I did enjoy a bit the different character storylines of the two main characters as well as the twists. This movie did also have a bit of Desperate Housewives drama which actually made the movie better in my opinion due to the disappointment I felt when I realized the large political element that dragged on in the first 30 minutes of the film. Despite the average action scenes and long political plot, the movie was still saved by the amazing explosion scenes and the “Don’t you dare mess with me” attitudes of both Chan and Brosnan. While their characters did have some annoying quirks, they were still pretty likable, especially when they got things done. I do feel like the last hour of the movie was the better half, which I do appreciate over a movie with a bad ending. Overall, if you are a fan of political action films, you’ll definitely enjoy this one. Plus it’s always nice watching Jackie Chan fight.